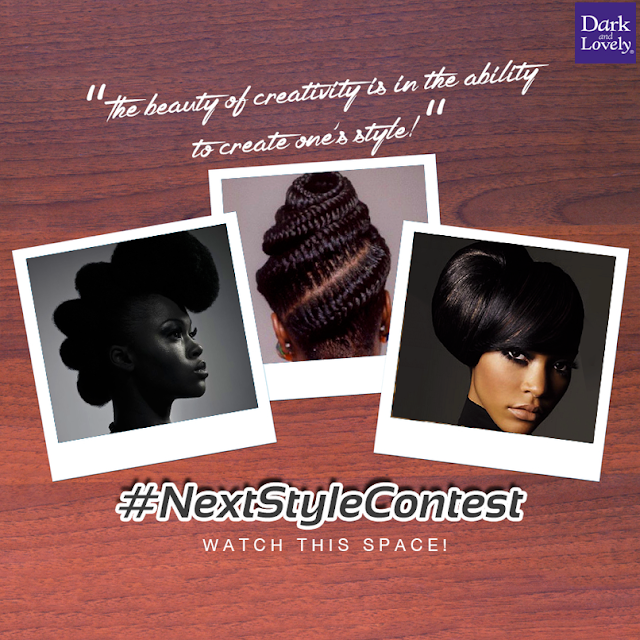 DARK AND LOVELY #NEXTSTYLECONTEST COMING UP!!! Promo Blog Ladies, this one is for you!!! Are you planning to make your hair? Just hang on a little for Dark and Lovely #NextStyleContest before Weekend!!! Turn on your creative side and get the chance to win big! This contest is all about showcasing creativity in hair styling.